We hear a lot about the need to minimize footprints and to reduce our impact. But what if our footprints were beneficial? 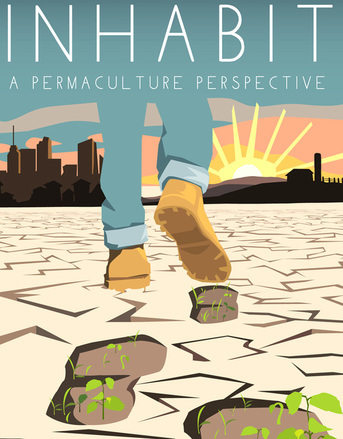 ​INHABIT explores the many environmental issues facing us today and examines solutions that are being applied using the ecological design lens of permaculture. This is an intimate look at permaculture peoples and practices ranging from rural, suburban, and urban landscapes. INHABIT is a stunning film that explains permaculture in a way that anyone can understand. To rent it click HERE. This video is a great 30-minute introduction to the permaculture philosophy of growing food. Radically different but brilliant in its simplicity with abundant yields. Geoff Lawton's Greening the Desert was BOD's Founder Monica Ibacache's entry point into permaculture. Monica had the good fortune to visit this area in Jordan in 2011, after the International Permaculture Convergence. It was equally impressive to see in person. Released in 1991, this series featuring the late Bill Mollison was hugely influential, not unexpected since Mollison is permaculture's co-founder, along with David Holmgren. ​To learn more about the Global Gardener click HERE. BOD is a huge fan of John D. Liu. Born in Tennessee and raised in Ohio, he now lives in China. His documentary Green Gold, a must see, shows Liu traversing the globe, including Jordan, Ethiopia, and China, demonstrating how to re-green deserts that many people thought were impossible to restore. To some permaculture is architecture, for others it's organic farming. Some say it's a philosophy or a way of thinking. Permaculture is a design system, but the engineering principles it follows resemble patterns from nature. Earth evolved from dust and gas and was made with the energy from a huge hydrogen furnace---the sun. A living system powerful enough to colonize an entire planet was born. Bill Mollison looked at this process and saw a system that was stable and fertile but constantly evolving, becoming more complex. And that is how Mollison believes our own environment should be. Co-originator of Permaculture David Holmgren outlines how he and Bill Mollison developed a concept of ecological land management and design for living which emerged as a worldwide phenomenon. The Permaculture Design Course now has over one million graduates around the world. It doesn't get more good ol' boy than Gabe Brown, a North Dakotan farmer who explains the advantages of no tilling and holistic regeneration of soil, increasing his yields while using no fertilizer. He never uses the word "permaculture" but his methods involve identical techniques. This is a great video to show to skeptical farmers. Gabe Brown breaks down permaculture concepts into language anyone can understand. "Natural farming" is also known as "Do-nothing farming." One of its most famous advocates is Japanese farmer and philosopher Masanobu Fukuoka. Drawing upon indigenous farming methods, Fukuoka favored no-till, no-herbicide grain cultivation. Fukuoka was celebrated for being highly successful in transforming deserts or denuded soil into lush vegetation and food production.